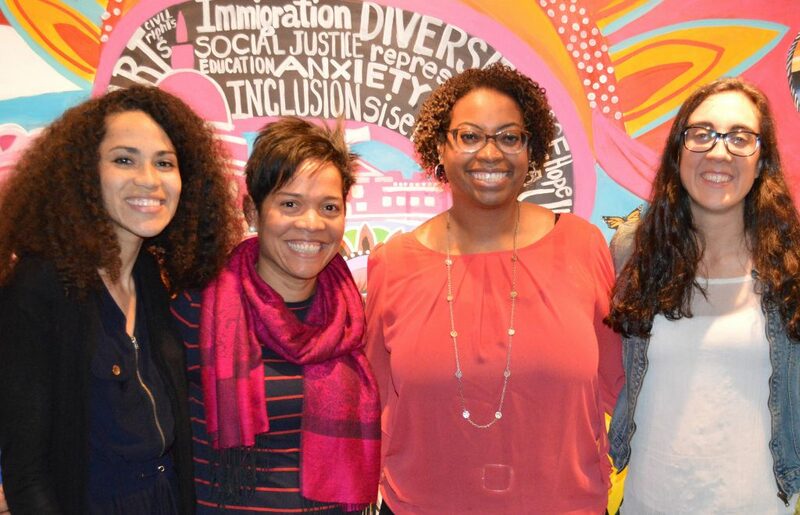 In March, Teaching for Change had the honor of presenting workshops in collaboration with the National Museum of the American Indian (NMAI) and the Anacostia Community Museum to introduce teachers to major exhibits at both museums. 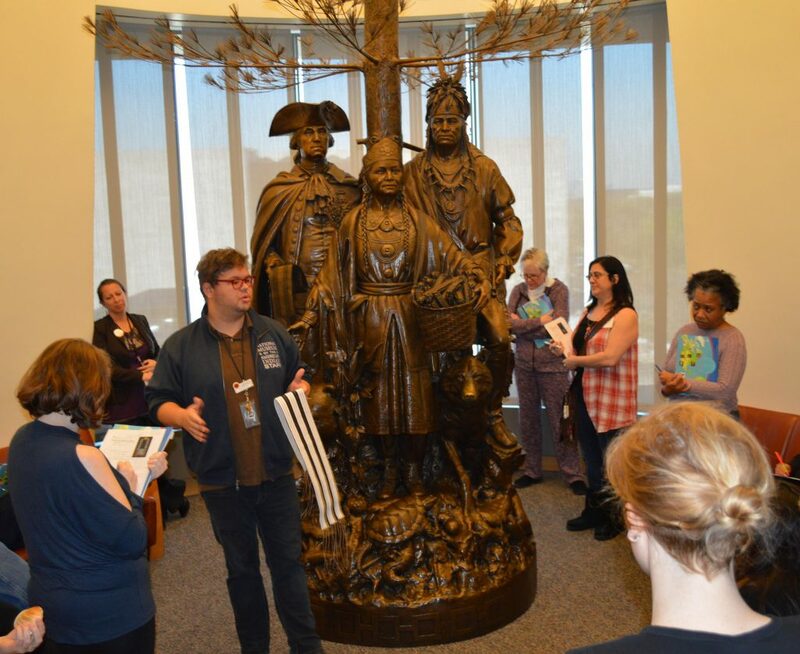 The NMAI teacher workshop, “Why Treaties Matter,” began with a tour of the Nation to Nation: Treaties Between the United States and American Indian Nations exhibit. Following the tour, teachers participated in Standing with Standing Rock: A Role Play on the Dakota Access Pipeline, a lesson from the Zinn Education Project that explores the issues surrounding the pipeline from the perspectives of five different groups. The lesson was facilitated by middle school teachers Faye Colon and Andy Paparella and Teaching for Change executive director Deborah Menkart. In March, Bill Stevens, a high school teacher at D.C.’s SEED public charter school, used the Standing with Standing Rock lesson with his students, and as a culminating activity went to the #NativeNationsRise march. On March 31 the Anacostia Community Museum held a teachers’ workshop, Teaching Central America in the Classroom. Teaching for Change staff Maybelline McCoy and Deborah Menkart led participants, most of whom teach at schools with large numbers of Central American students, in our role play activity, Central America: An Introductory Lesson. All participants received books and posters, courtesy of the museum, including Harvest of Empire by Juan Gonzalez and Yes! We Are Latinos by Alma Flor Ada and Isabel Campoy.